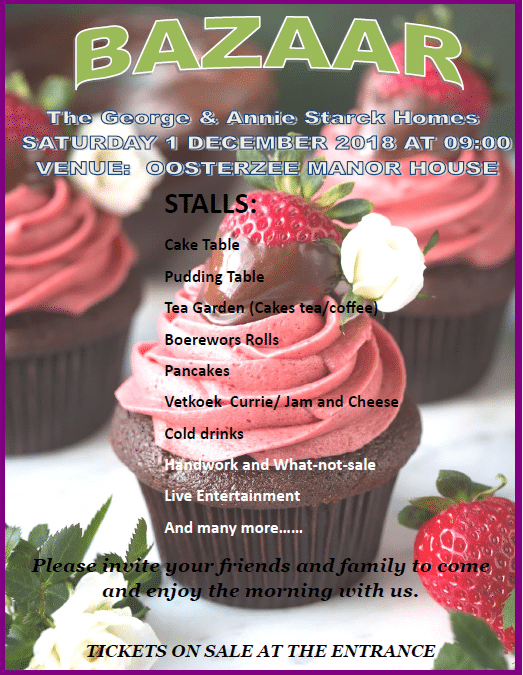 Our annual bazaar takes place on 01 December 2018. The funds which are raised are used exclusively for the benefit of our residents. We sincerely hope you will come out and support our effort. There will be various food, handwork and other stalls. We will also have live music and it promises to be a wonderfully festive day.